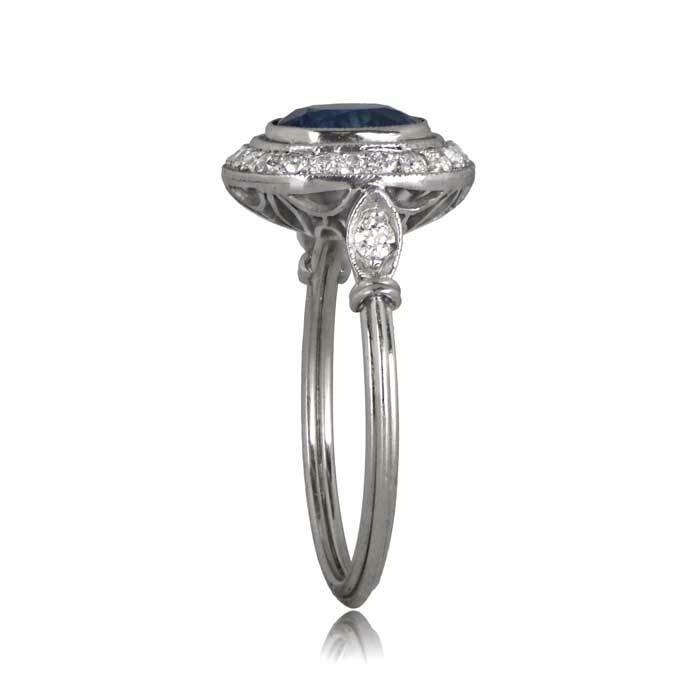 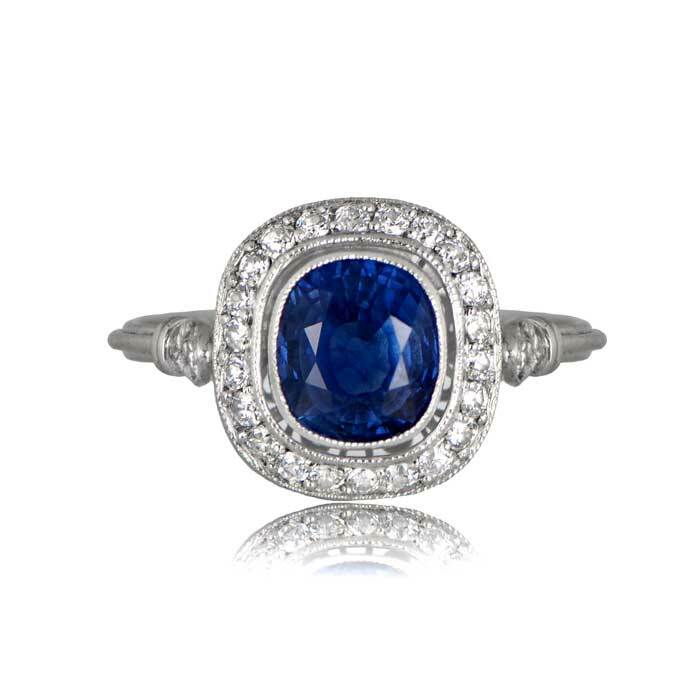 The Camden Ring features a beautiful and lively sapphire in the center, surrounded by a halo of old mine diamonds, and adorned with diamonds on the shoulder. 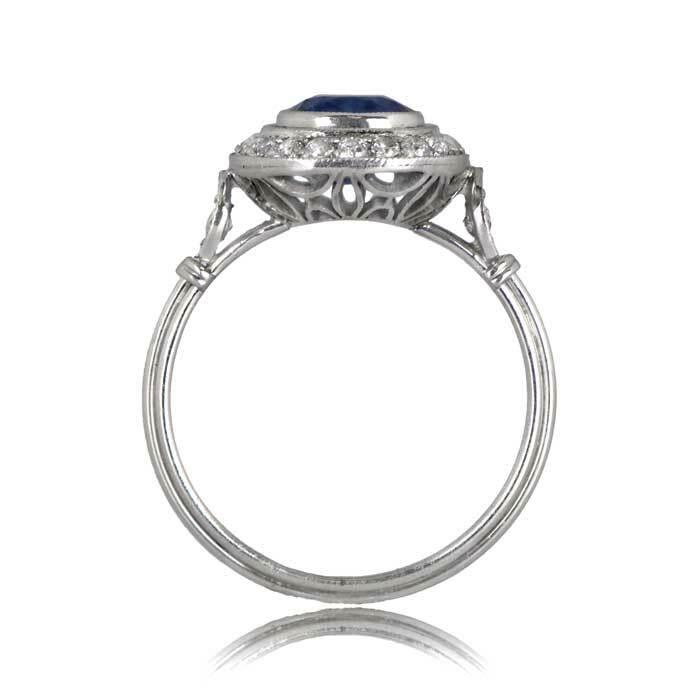 The triple wire shank and the ornate gallery adds to the delicacy of this ring. 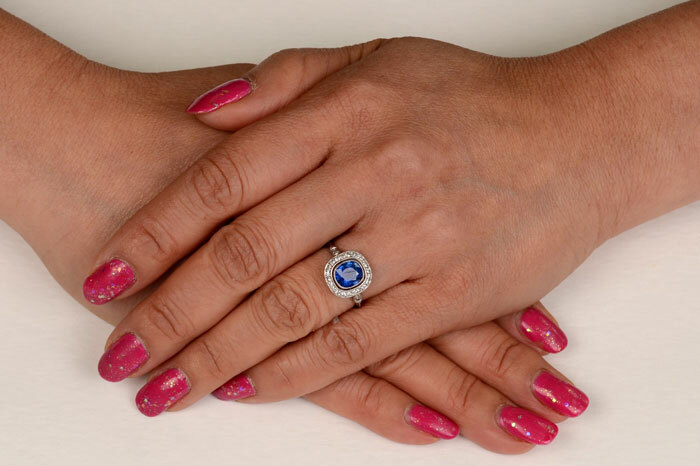 The center sapphire weighs 2.10 carats and showcases a royal blue color with strong saturation. 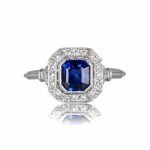 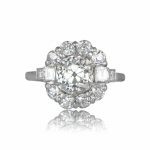 SKU: GS401 Categories: Sapphire Engagement Rings, Vintage Engagement Rings - Contact us and request additional pictures.